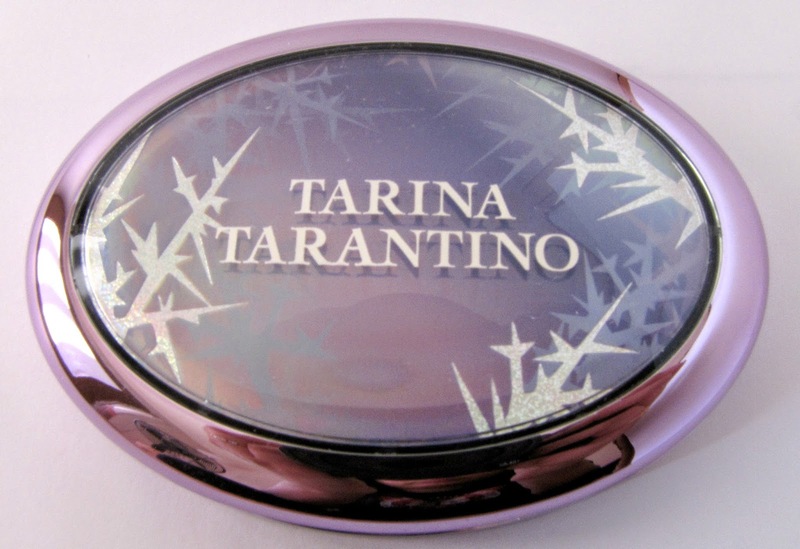 I have today another Tarina Tarantino palette. 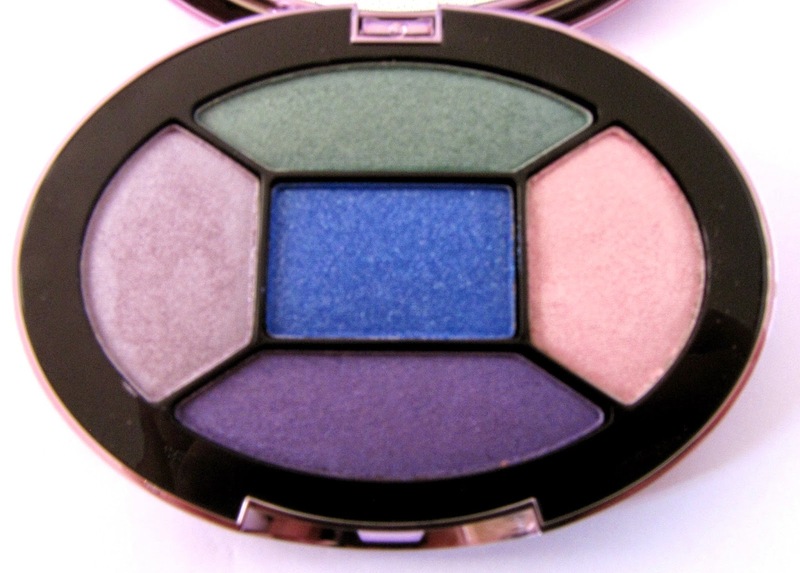 This one was a limited edition palette from, as I discovered, the Aurora collection. 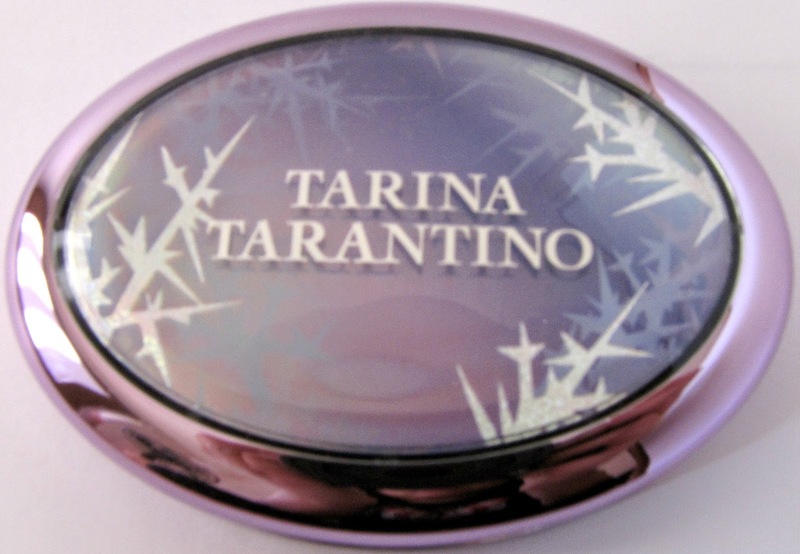 It's still available at the Tarina Tarantino website, weirdly enough, so... I guess it's not really limited edition? 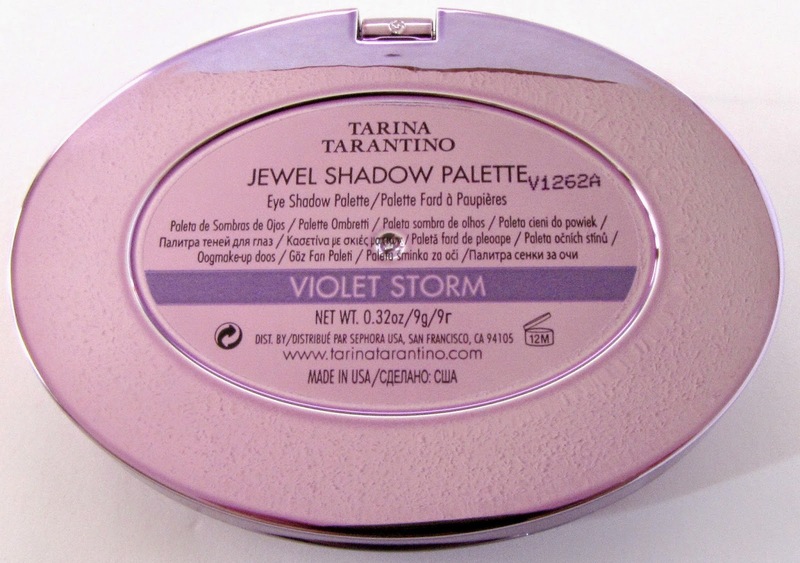 You know by now how much love I have for the Tarina eyeshadows that I'm not going to sound like a broken record. The Jewel Eyeshadow palette in Violet Storm has a collection of more colorful shades than her other palettes, but these are definitely some of the more unique colors I've come across. The color on the packaging is different from the 'permanent' line - these have a more cool-pink-grey metal as opposed to gunmetal. The top of the palette has an icy white and purple combination that has a multicolor reflective shift to it. It also has an icicle-like design. lt's very sturdy, and will travel well. 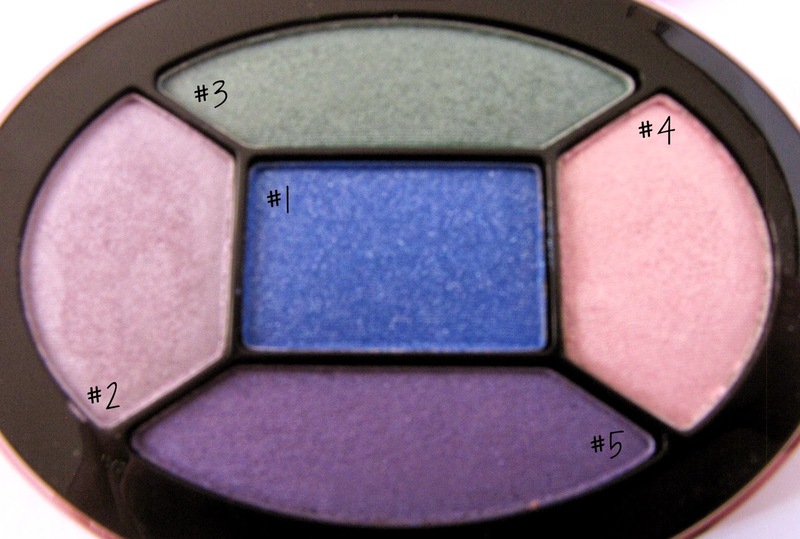 The inside houses five non-neutral eyeshadow colors. Personally, I like the design and the packaging, there is hardly any wasted space. There's a good amount of product in each of the pans. Shadow #1 is a bright matte ocean blue with silver glitter in it. This had the poorest payoff of the palette, but was fairly decent to use on the lids. Shadow #2 is a light, shimmery lavender with a silver sheen. It had excellent pigmentation, and had a tendency to appear a little frosty. Shadow #3 is a shimmery mint green-teal color. It is one of the most unique colors I've come across. It had excellent pigmentation. Shadow #4 is a very shimmery beige-champagne color with a light pink sheen. 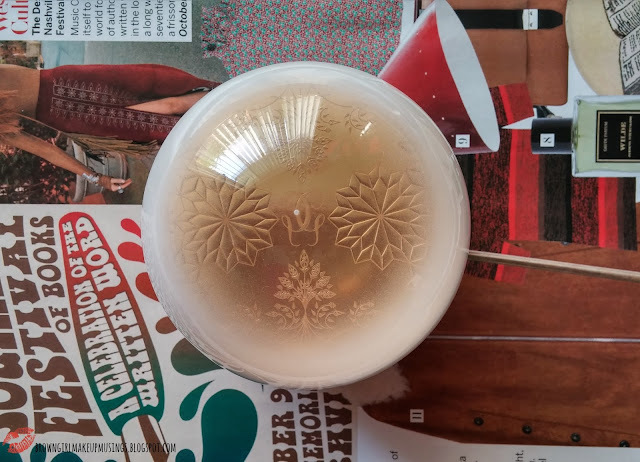 It had excellent pigmentation, and quite a frosty finish. Shadow #5 is a satin purple with pink shimmer. It had good pigmentation but had a bit of fallout. I'm a little sad there isn't a matte eyeshadow, something to serve as a crease/transition shade. In my view this is the only place where the palette is lacking. While it's possible to create looks with this palette, it's would have been so much nicer had they included a matte neutral shade. Compared to some of the other palettes though, the shadows in this were of a mixed quality - not all of them had the excellent pigmentation and payoff that I've come to expect from them. Shadows #1 and #5 in particular weren't as nice as the rest. Of course, I'm comparing them to the other shadows from this line; if I were to compare them to all eyeshadows in general, they are still above par. Wear time is a solid 8 hours with minimal fading. Application and blending are easy, although because the shades are soft, they're almost crumbly, and so you have to be careful while applying them in order to avoid fallout (which is minor). It's best to be more careful with #1 and #5, since they have glitter in them, and will produce more fallout. I'm not as impressed with this palette as I am with the rest of her line, but given that I love some of the shadow colors (#2, #3 and #5) I'll still get some good use out of it. I always wonder - how big are these palettes? I don't know why, but it always pops up. ..I love all these colours.. so gorgeous :) and the packaging is so pretty! They're small - they fit in the palm of my hand. A great option for travelling! LOVE those colours, and the packaging :-) I'm super envious of all your Tarina Tarantino! !